Like people, our feline friends can also develop allergies. And like people, the source of these allergies can be pretty much anything in their surrounding environment. What Are Cat Litter Allergies? Cat allergies are caused by an overreaction of their immune system to one or more substances, also known as allergens. With most cats, allergens don’t trigger an overreaction. However, with some cats, their immune system aggressively tries to get rid of these allergens which results in a number of symptoms that we will discuss further below. Cat litter may contain substances that can act as allergens for certain cats. If the immune system of your feline overreacts to one of these allergens then we can conclude that your cat is allergic to cat litter. 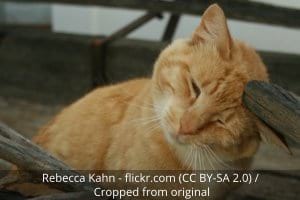 An allergic reaction can occur as an immediate result to an allergen in the cat’s presence or it can develop over time. In other words, even if your cat has been using the kitty litter for a long time without any allergic response, the allergy could still develop at any given moment. 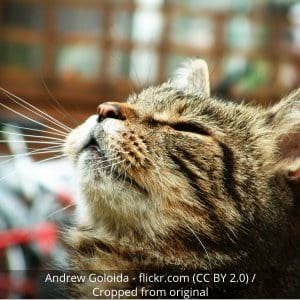 In addition, it is useful to know that if your cat is allergic to one allergen, there is a good change she/he might be allergic to other allergens as well. So if for example you already know that your cat is allergic to certain types of cat food, changes are that she/he might also be allergic to certain types of cat litter. What Are the Cat Litter Allergy Symptoms You Can Look For? The first category of symptoms are visual ones and some of them are very similar to allergic reactions people can have. For example, your cat may experience respiratory problems like a runny nose, sneezing or even wheezing and coughing like somebody with asthma would do. Typically these problems will be more pronounced when your cat has just used the litter box. But they can even be triggered if your kitty is just passing by the cat litter. The second category of symptoms tends to be behavioral problems linked to some allergic reactions. For example as your cat’s feet, tail and tushie come in direct contact with the litter they are more likely to absorb the allergen which can cause itchiness. Even though itchiness is not something you can see, the result might be that your cat displays excessive licking, chewing or increased scratching and biting. These symptoms could sometimes be harder to spot as many of them are regular manners a cat will exhibit during grooming. 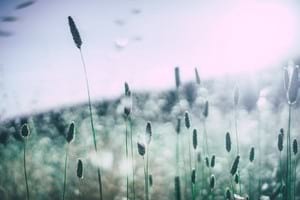 Allergies, however, will tend to make them more exaggerated, resulting in, for example, constant grooming or even licking off complete parts of fur in some cases. Another behavioral problem could be that could your cat stops using the litter box and instead uses places that are more pleasant to her/him but probably a lot less pleasant for you. The reason is of course that the cat litter causes one of the above symptoms resulting in your cat not finding the needed relief when using the litter box. Allergies to cat litter may also be diagnosed through blood or intradermal testing. Contact your vet for more information on the subject. Diagnosing allergies can be difficult as allergens in most cases are harmless substances and as such, they can easily be overlooked. Luckily avoiding the allergic reaction from triggering can in most cases be achieved by simply removing the allergen from the vicinity of your cat. In the case of cat litter, it can be as simple as trying another litter type as we will see further below. What Causes Your Cat to Be Allergic to Kitty Litter? Feline allergies to cat litter are caused by one or more ingredients used in the litter. Substances found in kitty litter are typically a combination of the core litter component (clay, crystals/pearls, recycled newspapers, pinewood or whole-kernel corn), optional fragrances and in some cases chemicals that are added to enhance certain characteristics of the litter (clumping, coloring, …). Cat litters most know for causing allergic reactions with cats are those based on clay. The reason for this is that clay-based litters typically create a lot of dust and, as it happens, dust is a well-known allergen. Fragrances are also added to cat litter in order to help control odor problems. Unfortunately, these fragrances are themselves a potential allergen to which your cat could react. Scan through the ingredients list located on your cat litter packaging as it might help you in narrowing down the cause of your cat’s allergy symptoms. What’s more, this information will help you in comparing and selecting a different type of cat litter as recommended in the next section. The most efficient way to solve your cat’s allergies is to remove the allergens from her or his environment. 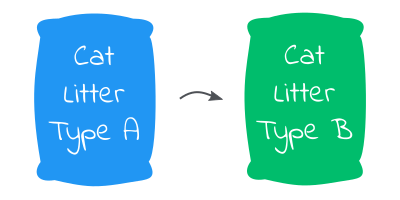 In the case of cat litter, it means switching to a different type. When switching kitty litter, try to get a hypoallergenic type. This typically means a litter that has low to no dust and that is unscented. Changing the litter is best done gradually by mixing the new litter with the old. This allows your feline friend to get adjusted to the new bathroom routine. Allergy symptoms might remain present even after the litter was completely changed. Typically wait a couple of weeks to see if the new litter reduces or solves the allergies. As for your kitty, give her/him a bath or alternatively wipe the fur with hypoallergenic wipes to remove all old litter dust. Clean the litter box by thoroughly washing it down to get rid of any remaining allergens. Also, vacuum or wash the surrounding area, bedding, toys and other objects to make sure any remaining litter dust is gone. It is important to note that your cat may be allergic to a number of different allergens that don’t all originate from the same source. 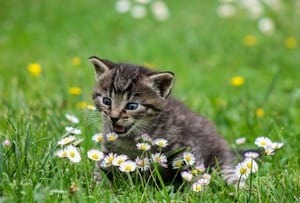 So even after having switched to a litter that no longer causes allergies, it could be that another source, for example, the food or the cleaning product you use, still contains certain allergens to which your cat reacts. What is your experience with cat litter? Any symptoms we might have left out that could help other cat owners identify litter allergy?